Select Table attributes as per need. Above screenshot displays selection of "skip converting indexes" and "converting views" option. 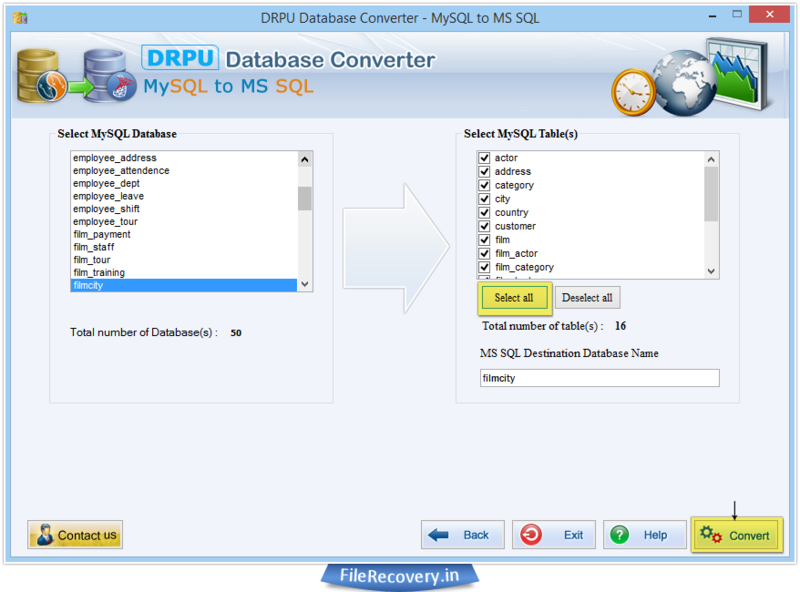 Choose MySQL database from left panel and corresponding tables from right panel. Write name for your destination database. 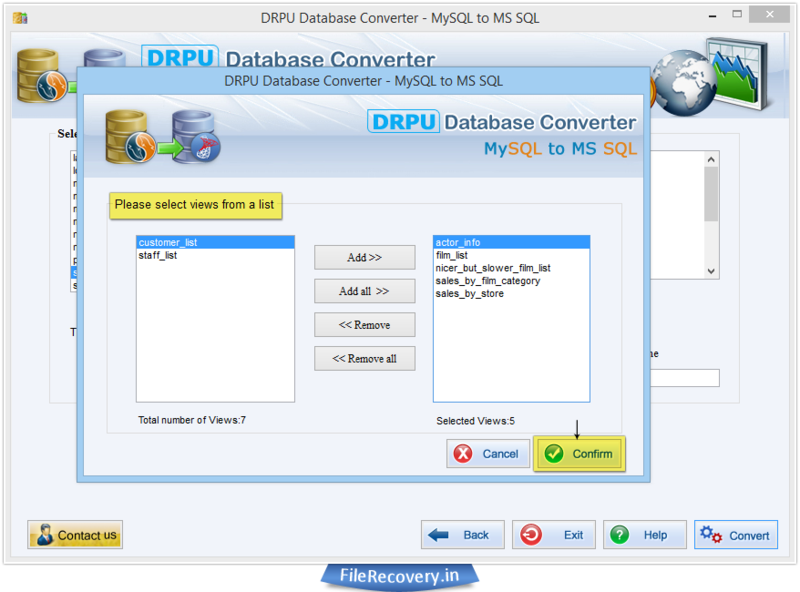 Click “convert” to proceed. Add views from left panel to right panel and click on “confirm” button to proceed. 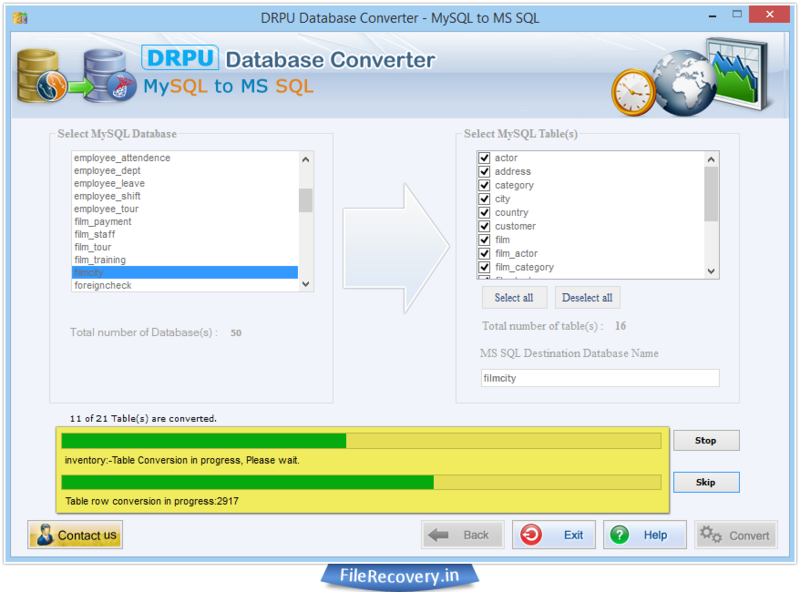 Above screen showing DB conversion process. 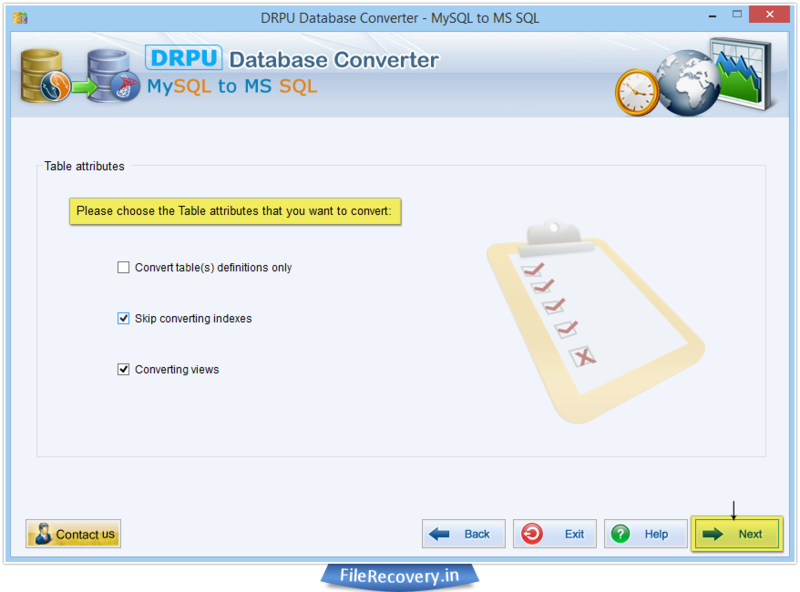 You can skip table conversion or abort process according to your requirement. 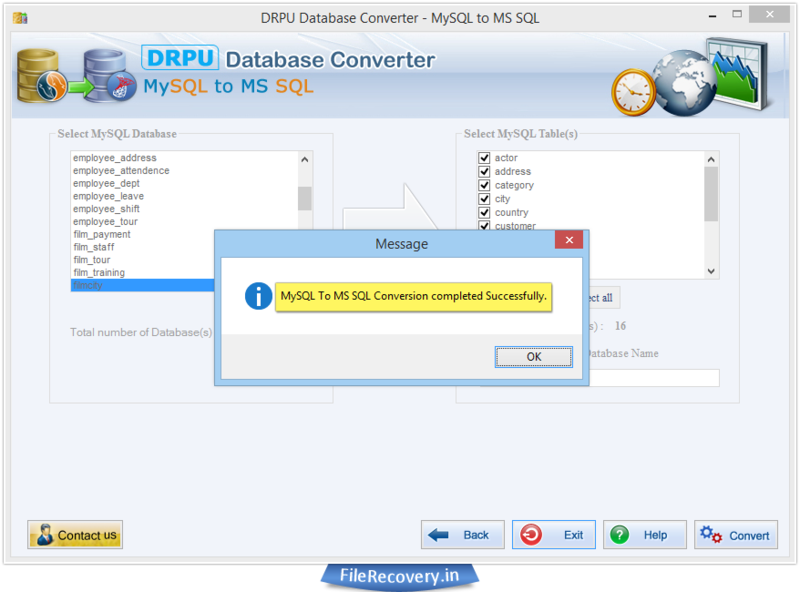 After completion of MySQL to MS SQL conversion, a message window will open to confirm DB conversion process completed successfully.